DANCING WITH THE STARS: Julianne Hough Compares FOOTLOOSE! HOLLYWOOD JUNKET got the chance to talk to Julianne Hough at a recent press junket about her work on “Footloose”. We asked her what it was like to train and learn choreography for a feature film versus a live television show. Click on the image or link below to hear what she had to say! 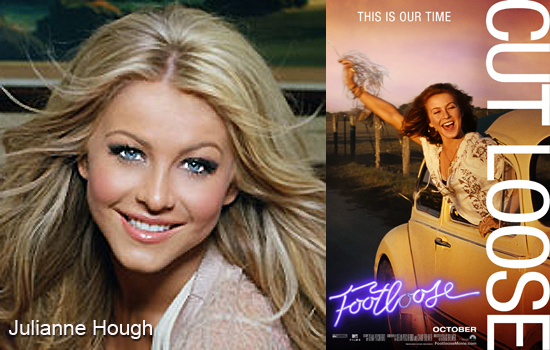 Click image to hear Julianne Hough talk FOOTLOOSE Vs. DWTS!